To anyone who spends time messing about in boats of all kinds, the dangers inherent in a life on the water are always there in the background. It doesn’t matter whether you’re taking a Sunday afternoon row on the Thames, crossing the English Channel in a sailing yacht or trying to avoid the melee of pleasure boats, tugs and commercial craft while navigating the London tideway – there is always a risk and those who ignore that threat do so at their peril. And that is why the men and women of the Royal National Lifeboat Institution are held in such high regard by the majority of boaters. Many years ago my wife, my brother and I had the great good fortune to be rescued by the RNLI when the sailing dinghy we were in started to take in water off Seaford on the south coast. I shall never forget the relief and exhilaration I experienced when I saw the bow wave that the Newhaven lifeboat was creating as it came haring out of the harbour to pull us aboard and tow our waterlogged craft back in. The coxswain and crew of that lifeboat were just ordinary men – guys who had had their Saturday afternoon interrupted by the boom of the lifeboat maroons calling them to action. They dropped everything, raced to the lifeboat station and came out to get us. And were paid not one penny to do it. For the RNLI relies today, as it has done since its foundation in the 19th century, on the courage of volunteer crews – ordinary people doing extraordinary things – and on the generosity of the British public. The 400 high-powered lifeboats operating from more than 230 lifeboat stations around our coasts are funded entirely from public donations to the charity. Which brings me to the real purpose of this week’s column – to turn the spotlight on a small but dedicated group of people who make up the Egham and Virginia Water branch of the RNLI. 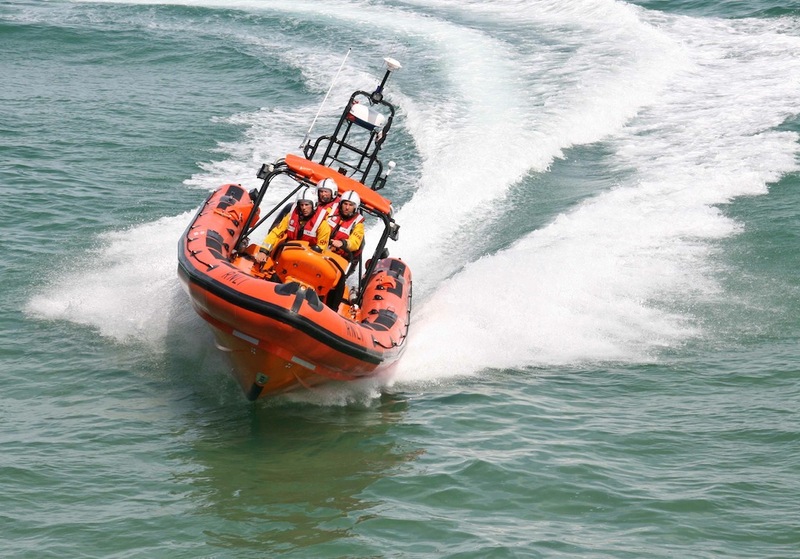 Under the chairmanship of Steve Merifield, the branch re-emerged as an active unit in 2009, after a few years in the wilderness and ever since has been raising significant amounts of cash to help fund the RNLI’s operations. Steve, 43, who lives in Mullins Road, Egham, told me: “I grew up visiting places like Weymouth and Lyme Regis and I was always fascinated by those big orange and blue boats in the harbours. The RNLI crews were amazing people. Steve’s been a member of he RNLI for more than 20 years and along with his wife, Sarah, and many other dedicated supporters, he’s turned the Egham and Virginia Water branch of the charity into a thriving concern. Keep your eyes open for RNLI collectors on the streets of Egham, Staines and Virginia Water over this summer doing their best to raise money for one of the finest charities in the UK – and give generously if you can.